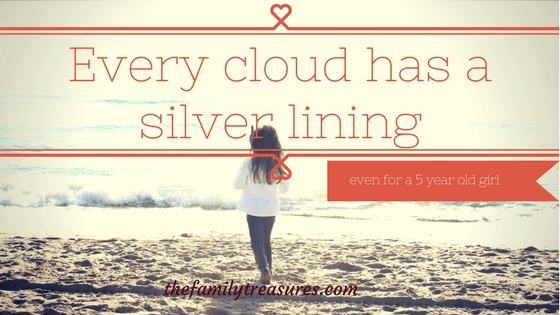 Every cloud has a silver lining -even for a 5 year old little girl. We’ve been wanting to tell you this story for a while, but as time went by we didn’t seem to find the right moment. It is something we want to share with all of you though, because we hope that if your children or yourselves go through something similar you will be able to find some answers on this post. We need to give you a bit of background before getting into it. You know we already learnt our lesson and decided to accept our children as they are, and never push them to do something they don’t want only for our own parents’ pride. We understand that more important than what other people think is what they feel and what message they receive from us. 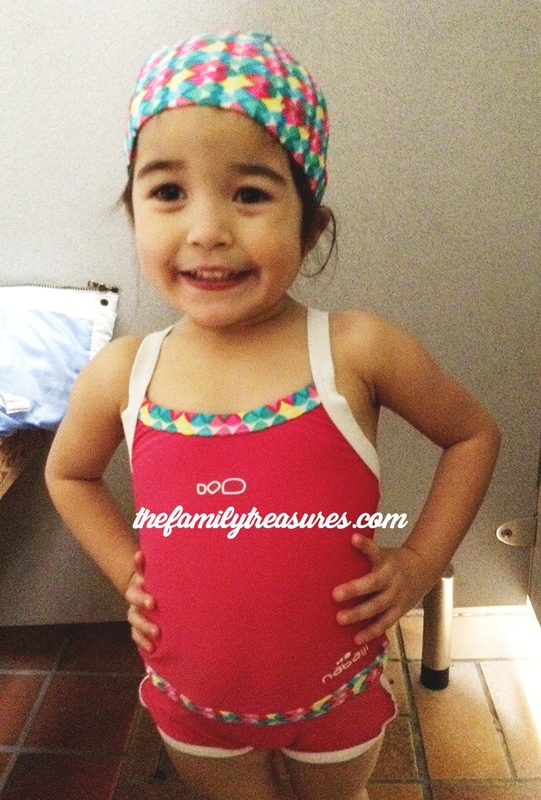 So since a very young age, around 2.5 years old, we initiated our little J on swimming lessons. I’ve always taken swimming lessons myself during my childhood and one of my goals as a mum was to make sure that my children would be good independent swimmers. She loves the water and has always been keen on some water fun. Now, let me just brag a little bit here and say to you all that she has quite a good aptitude and when she is in the right mood does it quite well. She’s progressed in such a good pace that despite being only 5 years old she’s in Stage 3 already. OK, enough boosting myself! Around 3 or 4 months ago she started complaining about the lessons. First she kind of drown herself a little bit and swallowed too much water. She got a bit scared but she was fine. Then, she started saying that her instructor yelled too much. We explained to her it was the only way everyone could hear him well in the pool but had nothing personal against her. Then, it was more things like “I don’t like it anymore! I don’t want to do it!” In the beginning she would get upset but with a little bit of encouragement went through the lessons. We thought that was going to last for a short period of time. We were so wrong. The situation got worse and worse. She would cry every time she had a lesson. She would cry in the lesson. One day, she almost got paralysed and was trembling in a corner. We didn’t understand what was going on. We were there watching the class so we knew it didn’t have to do with the instructor himself. But our hearts would break every week seeing her suffer so much. We didn’t want her to quit though. In the beginning our approach was more “causal -effect”. -If you take swimming lessons, you will be able to swim on your own at yayu’s home in Barcelona! , or – If you are not going to do it, we will take you out of the course then” None of these things really worked. They only put more pressure on her. One day, I saw her there, crying, looking up right at me, like begging me to rescue her from that hell she felt she was on. I said a prayer in my mind cause I didn’t know what else to do. I should have probably done it before. I made up my mind and decided that changing group would be a possible solution. We told her and she seemed pleased with that idea. We chose a day where the swimming instructor was the same person she had when she was in the initial stage. So we knew she would remember her and maybe things would change for the better. The following week she started on this new group. New instructor and new swimming friends. We thought that was going to be it but during her first lesson she cried all the way through. This time though I had told the teacher before and therefore made a few arrangements to help her be as comfortable as possible. When the lesson was over and we were in the changing rooms she and I had a little chat. On this occasion instead of focusing on the aspect that she had cried throughout the whole lesson I tried to focus on all the positives. You know what they say, every cloud has a silver lining, oh well, that was true, even for our 5 year old little girl. I felt inspired to just focus on how brave she was, that despite not feeling like it, and crying she was able to finish the lesson and follow every instruction her teacher gave to the group. She looked at me quite surprised, like she hadn’t thought about it that way. When we were in the car she was telling Sam all the time “Daddy! today I’ve been so brave! even though I’ve cried I still finished the lesson! next time, I won’t cry that much!” I can tell you now, the change didn’t come instantly but I know that the path we took was definitely the right one. Last week it was her third week on a row where she kept asking about her swimming lessons and was more than eager to go! She says she loves it now! She’s making good friends with her new group and loves her Instructor. If we had continue using the “causal-effect” approach she would probably had quit swimming by now. We didn’t. We chose to see the silver lining. We chose to focus on what she was doing good already and encouraging her to keep it up, the rest would come. She’s not only taking swimming lessons now she is also doing taekwon-do and will be going to her very first tournament next week. Oh you’d have to see her with all the safe guards on and jumping and kicking around! She looks so adorable. The best part? She’s loving it! She’s overcoming her fears and growing in confidence little by little. Me encanta!! y si es verdad….nunca estudias para ser papa o mama….pero estoy segura q todos intentamos hacerlo de la mejor manera. ;)…..Q bien lo de J….lo mejoooo estimulo-respuesta. Felicitaciones super papis!!! Lo haceis de maravilla.